With the kiddos headed back to school, I know we are all missing our babies. A great tradition is to write a lunch box note to your little one and place it in their lunch box to find. I love that there are so many fabulous and modern versions now to make it a little easier to remember and fun and special for our kids to open. 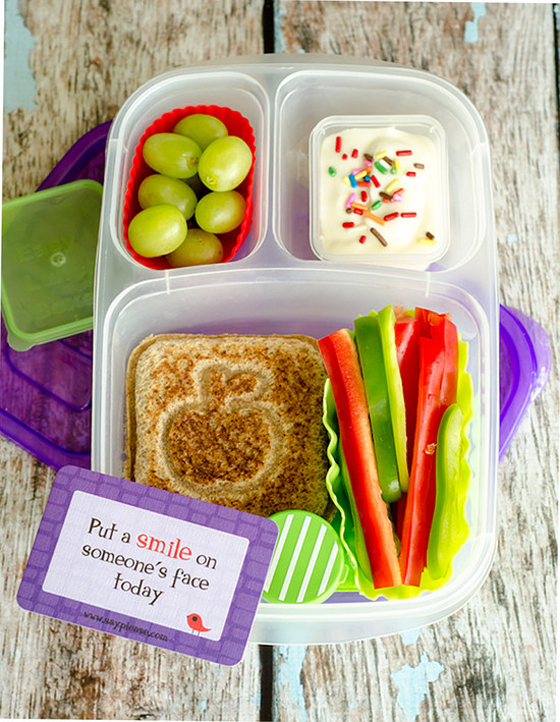 These Talk Bubble Lunch Box Notes are simple and easy for our growing readers to read. Add your own note to the back for a more personalized note. Let them know they are sweet! Cupcakes, lollipops and other sweet images make these notes from Libby Lane Press fun to find in a little one’s brown sack. These sentiment cards can be a beautiful reminder of using their manners and showing grace while at school. There are so many fun fonts out there, and I love these from Paper Crave. You can actually download them for free! Lunch box notes are a timeless tradition for moms, but you can jazz it up with these fun modern designs! Do you leave notes for your kids? My little girl loves it when I leave cute notes in her lunchbox. So thanks for these free downloadable ones! But isn’t the whole point of leaving lunch box notes to personalize it and give it some loving touch? I’d rather leave handwritten notes. Even if it’s just written on post-its, at least the notes are from the heart and lovingly written. You didn’t read, did you? You can write your own personal note at the back of these cards. Sorry, yeah, I didn’t really read the text and only take one good look at the photos. My bad. This is just great! My kids love to have love notes on their lunch boxes or inside their bags, and I was wondering whether there were little cards or stationeries I could use.